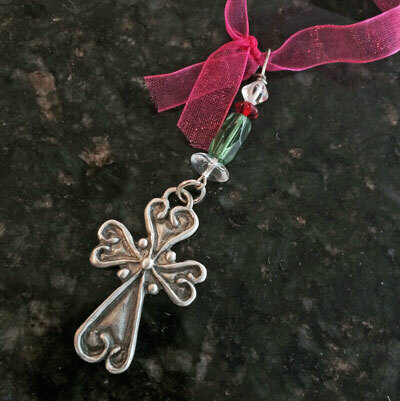 This adorable pewter cross made out of hearts is adorned with beads. 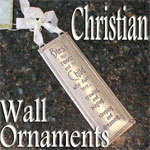 It would look great on the corner of any mirror, window, or kitchen cabinet. It comes with a ribbon and loop hanger for wall, tree and desk. This is the work of Cynthia Webb, a San Diego, CA artist who specializes in handcrafted fine pewter ornaments, framed plaques and gifts. Her work is known for its fine detail, which is evident on both the front and back of her pieces.